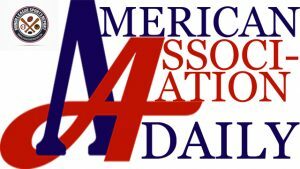 In American Association Daily, Robert Pannier recaps the game of the night as the Chicago Dogs down the Winnipeg Goldeyes 6-5. The Sioux City Explorers saw their nine-game winning streak come to an end and the Wichita Wingnuts ended their six game losing streak. It has taken a little bit of time, but the Chicago Dogs are finally starting to put the pieces together, winning their fourth game out of their last seven with a 6-5 victory over the Winnipeg Goldeyes on Sunday afternoon. Chicago battled back from three down to take a 6-4 lead before holding on for the win. Josh Goossen-Brown earned his first victory of the year and Matt Dean homered and drove in two to pace the offense. Things started well for Winnipeg, as they would grab three runs in the bottom of the first inning. With one down, Victor Cruzado singled into center field and moved to second on a base hit by Reynaldo Rodriguez. A wild pitch moved both runners up, and Cruzado would score when Reggie Abercrombie reached on an error. Another error loaded the bases before Josh Mazzola hit a sacrifice fly that brought home Rodriguez. Abercrombie would come home when he stole third and scored on the third error of the inning. In all, Chicago would make four errors in the frame and would trail by three. The Chicago Dogs would get one of those runs back in the top of the second. Shawon Dunston, Jr. started the frame with a double and scored on error by Edwin Carl. Zach Racusin attempted to sacrifice Dunston to third, but the throw by the pitcher was wild, allowing the runner to come all the way around to score. Winnipeg got that run right back in their half of the inning. A double by Andrew Sohn was followed by a walk to Cruzado. With two on and two down, Abercrombie singled into left field bringing home Sohn to extend the lead to 4-1. Chicago cut the deficit to two with a run in the fourth. Back-to-back singles by Matt Dean and Dunston got the inning started. Two batters later, Dunstan scored on a single by Michael Baca to make it 4-2. In the fifth, Chicago would grab the lead. Dalton Blaser singled to get the rally started, then stole second. He scored on a single by Craig Maddox, and Maddox would come home when Dean followed with his first home run of the season. That put the Dogs up 5-4. In the sixth, the Chicago Dogs would add an insurance run which became pivotal in this contest. Jonathan Moroney started the inning with a single and moved to second on a ground out. He scored on a two-out double by Maddox to make it 6-4. Goossen-Brown (1-2) came out after six, and Brandon Shimo take over. Winnipeg rallied for a run in the seventh, as Sohn was hit by a pitch to start the inning. The Chicago reliever retired the next two batters, but Sohn would score on a single by Abercrombie to make it 6-5. Taylor Grover came on in the eighth for the Dogs. He gave up a base hit to Mazzola to start the inning, but Mazzola was thrown out trying to steal second. Grant Heyman struck out for the second out of the frame before Jordan Ebert grounded out to end the inning. In the ninth, the Chicago Dogs turned to closer Kaohi Downing. Hestruck out the side for his third save of the season. Craig Maddox was 2-4 with 2-RBI for Chicago. Matt Dean was 2-5 with a run and 2-RBI and Shawon Dunston, Jr. was 2-4 with 2-runs scored. Reggie Abercrombie led the Winnipeg offense, going 2-4 with a run and 3-RBI. The Sioux City Explorers finally saw their nine-game winning streak come to an end, thanks to a six run second inning by the Texas AirHogs, as they held on for the 6-5 victory. After a scoreless first-inning, Texas would send 12 batters to the plate in the second. Five different AirHogs hitters would drive in runs in the inning, including Lu Zhenhong, who plated two with a two run single. Meng Weiqiang (2-2) evened his record with 5.1 solid innings, allowing just two runs, and Taylor Wright closed the door with 1.1 innings of relief for his second save of the season. Lu finished 2-5 with a run and 2-RBI for Texas. Sioux City stranded 11 runners in the game. It was win No. 999 for St. Paul Saints Manager George Tsamis on Sunday evening, as the Saints down the Sioux Falls Canaries 4-1. Starter Jake Esch tossed six outstanding innings, holding the Canaries to one run and Richard Prigatano drove in two to help pace the offense. St. Paul took the lead with single runs in the second and third innings. An RBI fielder’s choice by Kes Carter put St. Paul on the board in the bottom of second and J.J. Gould led off the bottom of the third with his second home run of the year. St. Paul held a one run lead heading into the bottom of the eighth, when Prigatano blasted a two run double that extended the lead to three. Tom Wilhelmsen came on in the ninth and closed it out for his sixth save of the season. The Wichita Wingnuts found themselves trailing 6-1 heading into the bottom of the fifth inning, but thanks to an RBI single by Fernando Perez and a three run home run by Tony Thomas, Wichita found themselves down by just a run. Ryne Willard’s second home run of the season an inning later tied the score, setting up of the dramatic ninth inning. With runners at first and second and one down, Perez fouled out bringing Thomas to the plate. He lined an 0-1 pitch into center field bringing home Logan Watkins with the winning run in the 7-6 victory over the Kansas City T-Bones. Thomas finished with 4-RBI and L0gan Watkins was 4-5 with 3-runs scored. That ruined a perfect 4-4 day for Angel Rosa for Kansas City. Brandon Jacobs extended his American Association home run lead with his ninth home run of the season on Sunday afternoon, and Tyler Herron responded with seven outstanding innings as the Lincoln Saltdogs downed the Cleburne Railroaders, 4-3. Cleburne led 3-1 thanks to a two run double by Rafael Palmeiro in the top of the fourth. In the bottom of the inning, Curt Smith scored on a single from Brandt Whiting. In the six, Lincoln took the lead when Jacobs hit a two run home run to put the Saltdogs on top by one. Herron rebounded from his last outing where he gave up 8 runs in 8 innings by allowing just 3 runs in 7-innings, while striking out 9.